If you have moved your source files around on your computer accidentally or on purpose (for instance when switching laptops, or reorganizing), Resolume will indicate which files are missing. Clicking on the Relocate button will open the Media Manager. The Media Manager will build a list of all the files used in your composition, and mark the missing ones in red for you. Tip! The Media Manager will need to save your composition before it can do its magic. If you're unsure about the current state of your comp, you might want to save under a different name before you open the Media Manager. The quickest way to find missing files is to press 'Locate All...' in the bottom of the Media Manager. This will open a file browser, where you can select the folder containing the missing files. Are you missing files spread over more than one folder? No worries. Just point the Media Manager to a higher folder that contains all the folders containing your files. It will then look through each subfolder until it's located all the missing items. The Media Manager will automatically save your composition every time it's relocated files. If you prefer, you can also click the 'Relocate' button next to a specific. This will let you browse for that specific file. After you've relocated that file, Resolume will do a quick search in the same folder for any other missing files, and fix those as well. You can use the Media Manager to replace a particular file with a different one. Right click on the file you'd like to replace and choose Set Path. You can then select the file you'd like to replace it with. This is a great way to update a particular file with an updated version. "This time it's really the final version. I promise there will be no more changes. Let's render Intro v17 Final Final Def v2.mov"
The Media Manager can also be used to collect and gather the files in your composition in one place. To do this, select 'Collect Media' from the bottom left. 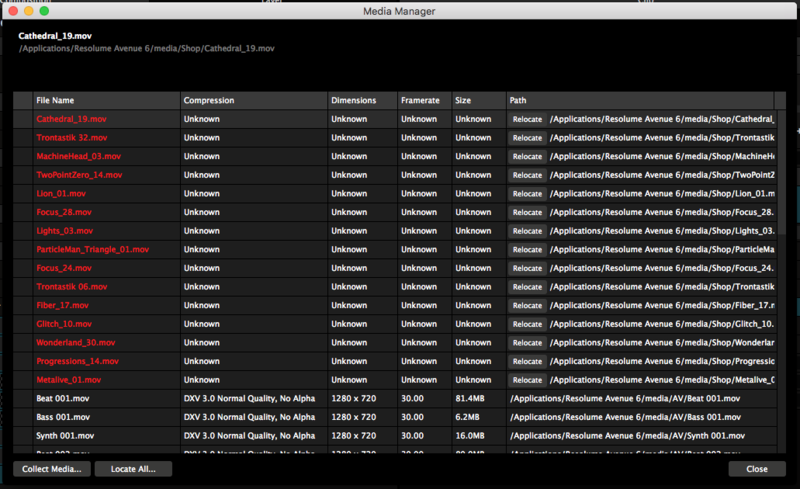 The Media Manager will show you how many files there currently are in your composition, and how much space they take up. You can then select a folder where you would like to copy the files to. Tip! The Media Manager always copies! 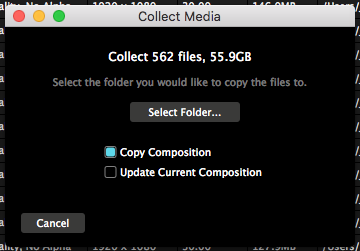 Resolume will never try to delete files. We know your content is holy. This will copy all your files into a single folder. It will then make a copy of the current composition, place it next to the files, and update the file location. This is great for moving a showfile with all its content to a separate drive or another computer. This will also copy all your files into a single folder. It will then update your current composition file with the new locations. This is great for cleaning up the mess that you made when you were being creative and pulled files from 23 different subfolders on your computer, 12 more subfolders shared from your friend's laptop, 6 subfolders on 2 external drives, 1 file from that Hello Kitty thumb drive you secretly keep under your pillow, 2 files from your Google Drive and one picture from your mom's Dropbox. 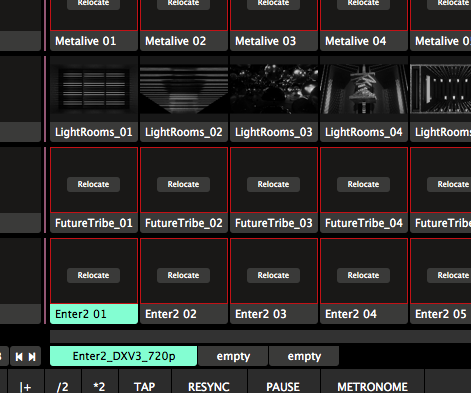 By updating the current composition, Resolume will copy all these files into a single folder and point the composition to their new locations. So much more tidy.